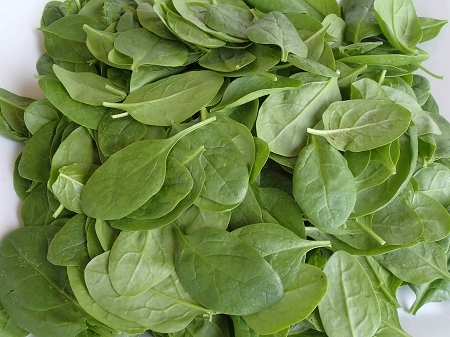 Organically grown New Zealand Spinach has a similar flavor as regular spinach like Bloomsdale. Growns as a vine , these tender young plants are very flavorful. 4 ounce bag.